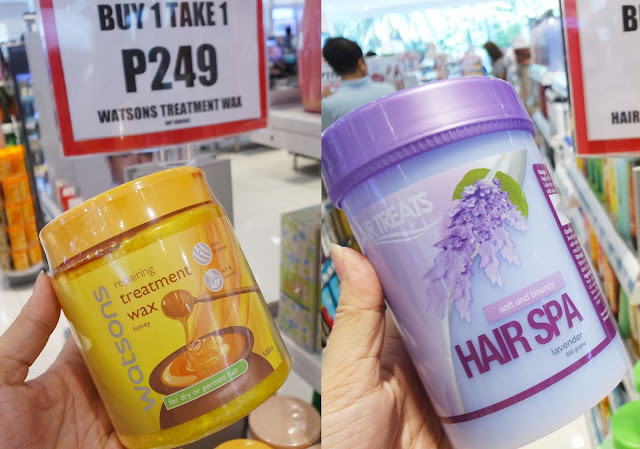 Swith to Watsons Label To Save on the Things That Mattter Most! Mr. AMW tells me one of the many reasons why he loves me (note: MANY :P) is how simple I am. I don't really care about branded stuff and I always have a good eye for affordable yet good quality products! That's why one of the many "favorite place" for AMW to shop to is Watsons. Why? I get wide range of products from Oral care to skincare and body care. My favorite variant is the Lavender one but recent is in love with the Honey. Honey & Milk Scented Cream Hand Soap which costs Php109.00 for refill (as I already have the pump at home!) and their Deep Moisturizing Body Scrub Cocoa Butter. For my son, I am quite surprised how nice the Watsons Baby Bath line is! My favorite is the Milky variant (Blue packaging) and Kyle Nash used more than 5 huge bottles to date! And my ultimate favorite, their Watsons Fragrance-Free Baby Wipes! I was telling my friends about how moist each sheet are until the very bottom! I can go on and on because their Cream Body Wash are also nice and they are all on Buy 1 Take 1 Promotion! I love shopping at Watsons particularly Watsons Label because of the quality and price. They always have special promotions that would give us (buyers) more chances to save up for the things that matters to us! This year, Watsons further rewards their shoppers who make the Switch and Save with another campaign that excites me so much! The Switcher's Surprise Campaign! 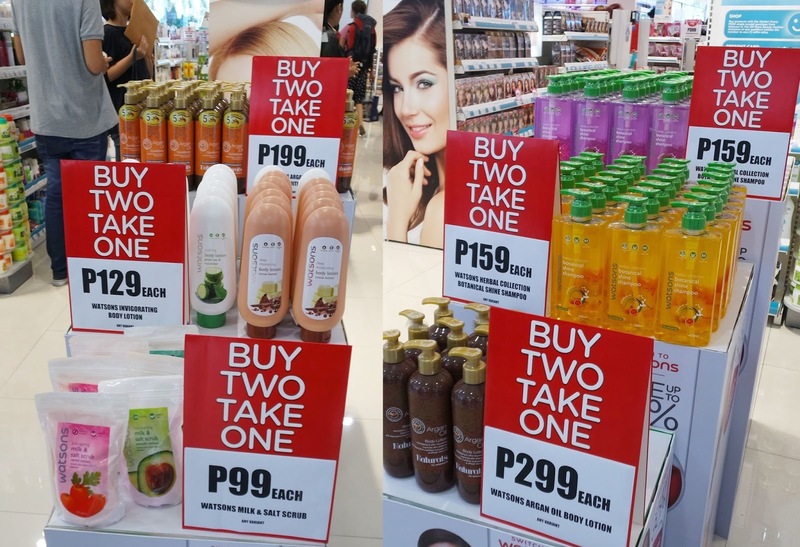 To give us a quick idea on what Switcher's Surprise campaign is all about, last January 26 and 28, severl shoppers at the SM Mall of Asia had a double surprise waiting for them. All they did was to simply choose a Watsons Label Product/s, the shopper who gets the specially marked Watsons Label Product instantly get the chance to win fabulous prizes! Some prizes given out were --- Flatscreen TV, A MacBook Air, a Trip for 2 to Hong Kong and a lot more! Now, as I stalk with fellow bloggers for the sticker (and actually spotted it!) It was nerve-wrecking to wait for the shopper to pick that particular item, go straight to the counter and pay for it and Watsons Staff will guide the winner to the specially designed booth were they get not only the surprise but to meet one of the Watsons personalities or endorsers like Lorna Tolentino, Iya Villania, Tessa Prieto-Valdes, Patty Laurel-Filart and Christian Bautista. *sigh* Nainggit ako ng slight (slight lang) but my heart was bursting with happiness! I love seeing people having tears of joy and this lady shed some! Now, my dear AMW friends, I'm creating this long blog post to let you know it is NOT TOO LATE to win amazing prizes like they did! ALl you need to do is shop at Watsons now for selected products from personal care to generic medicines like Watsons Glutathione, Watsons Travel Hair Dryer, Watsons Argan Oil Hair Conditioner (bestseller! ), Watsons Body Scrub, Watsons Collagen and Watsons Breath Strips among others! Basta, just tell your family and friends to Switch and Save! Whether they win prizes or not, they will definitely go home as winners because of the savings they get! In addition to Switcher Surprise, please check out their Buy 2 Take 1 Promo on selected Watsons Label Products from January 22 to March 2016! With old and new friends! AMW is a certified Switch and Saver! 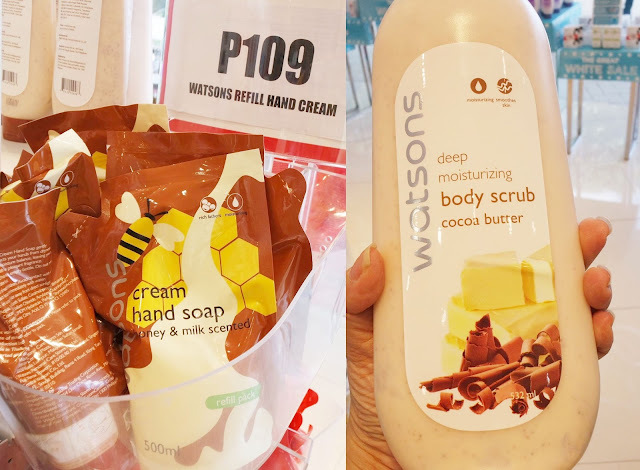 What's your favorite Watsons Label Item? Ay I just went there last week! Bakit di ko alam yan haha. Since you attest that the Watsons brand itself are good products, I might give them a try especially the body scrub! I heard really good feedbacks about the collagen lotion so I will definitely go to Watson's come weekend.